(1) When one stands alone as a linking verb or is used before a base verb as a helping verb, it is the verb that you match with the subject: He IS happy…is must match with He; they ARE going (are must match with they. (2) They tell WHEN something happened (present, past, etc.). You really need them! (4) When one stands alone, it should have the subjective form of a pronoun following it (if it has a pronoun following it), not the objective: This is SHE (not this is HER). (6) You can spot them more easily in writing–and get rid of them in order to write more active/less passive sentences! Some students learn being verbs by themselves. Then they learn a list of linking verbs. 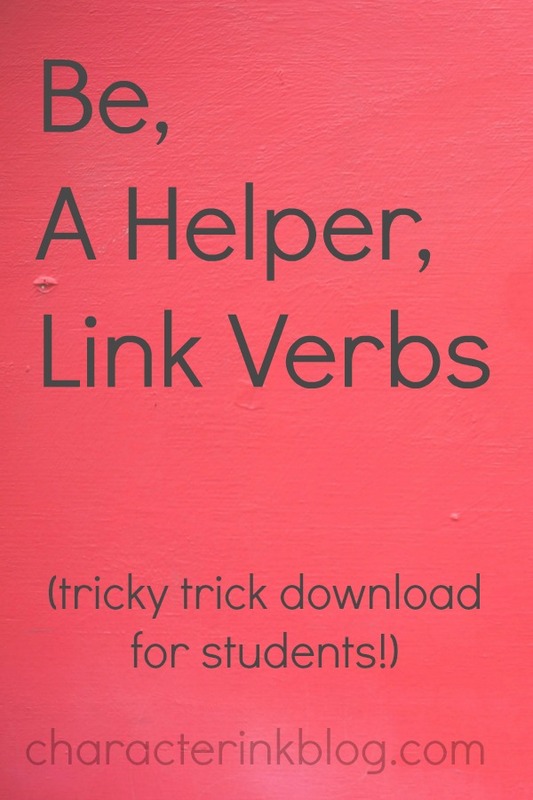 And, of course, they learn a list of verbs that can be used as helpers–helping verbs. So…let’s put them all together, teach what they all do collectively, and memorize them. Students easily learn when to use the three kinds–you won’t find a student trying to use REMAIN in place of WAS in the phrase WAS GOING. They just naturally do that correctly. For your kiddos—print off the Tricky Trick Sheet download given below and hang it on the bulletin board. 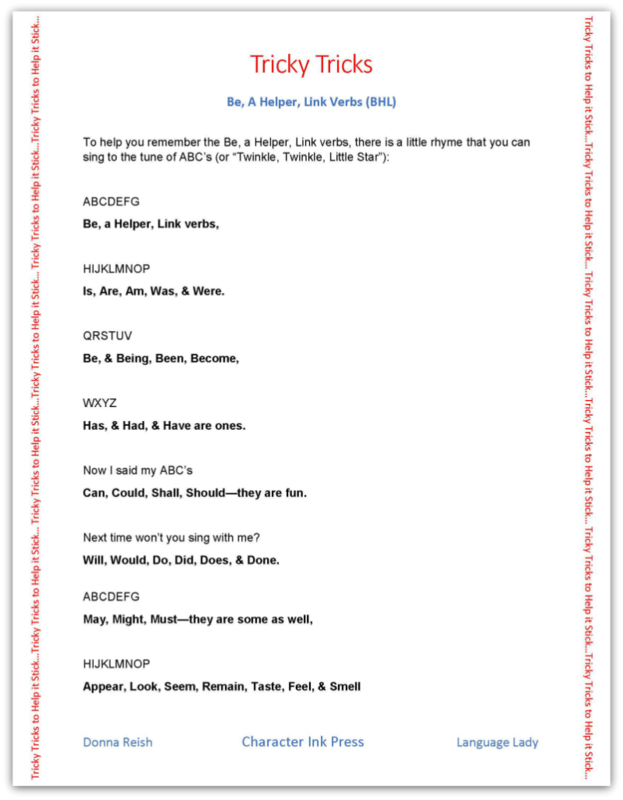 Sing it every day–and your students will learn them in no time! Is, Are, Am, Was, & Were. Has, & Had, & Have are ones. Can, Could, Shall, Should—they are fun. Will, Would, Do, Did, Does, & Done. Appear, Look, Seem, Remain, Taste, Feel, & Smell. See all of my Tricky Trick Sheets here! P.S. What was your favorite tricky trick when you were in school?